Catalog ads to accompany an interactive digi-card. 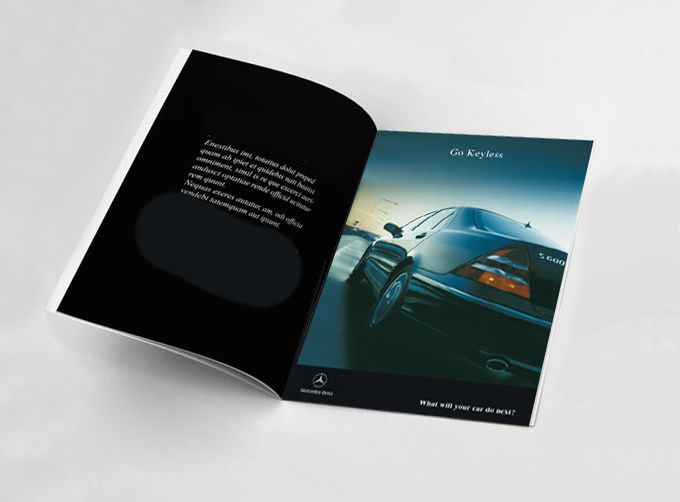 In 2000 while running my design studio Synergy Creative in New York, I collaborated with Eric Burton of Interactive Communications, Inc. on two ads for Mercedes Benz. 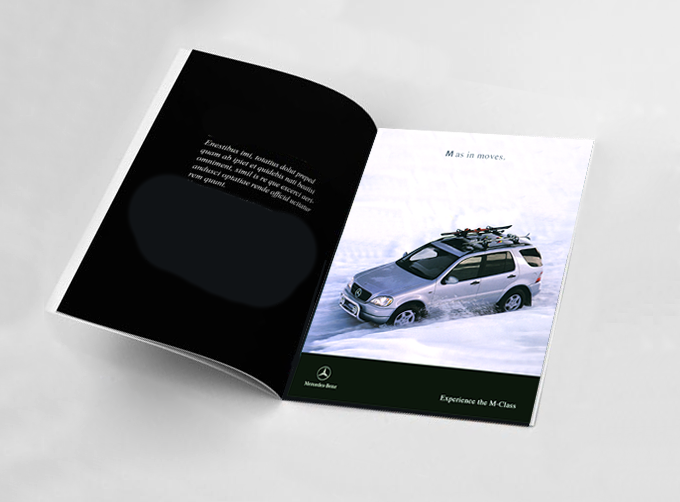 The ads were featured in the brochure along with what was then called a Digicard which offered interactive content and a link to the website where people interact wit the cars and customize their experience. I designed the ads and wrote the copy which read: "Go Key-less" - (this was the first car that featured key less entry) "What will your car do next?" This is the second ad that I designed for the same purpose (see explanation above). The copy reads "M as in moves". "Experience the M-class".